the fash pack: coke-jollibee promo! Once again, the whole nation is looking forward to the merriest day of the year. And who else could best lead us to it but the happiness tandem we all love: Coca-Cola & Jollibee! To make the celebration even more special this year, our favorite beverage for the season once again joins hands with the country’s number one fastfood chain to bring us an early Christmas gift- the Coca-Cola Christmas Tumblers. Yes, we have delightful, new collectibles to be excited about! They’re the perfect accents to our dining tables as we share our Noche Buena with the family and the barkada. They could even be nice, little gifts to your most cherished monitos and monitas. Made of high quality ceramic materials, the Coca-Cola Christmas Tumblers come in two unique designs that truly jive with the vibrant mood all around. Whether you’re an avid collector of iconic pieces from the Coca-Cola brand or you just love everything that spells fun, the limited edition tumblers are must-haves that will perk up your Christmas wish list. How can you take home a Coca-Cola Christmas Tumbler? It’s easy! 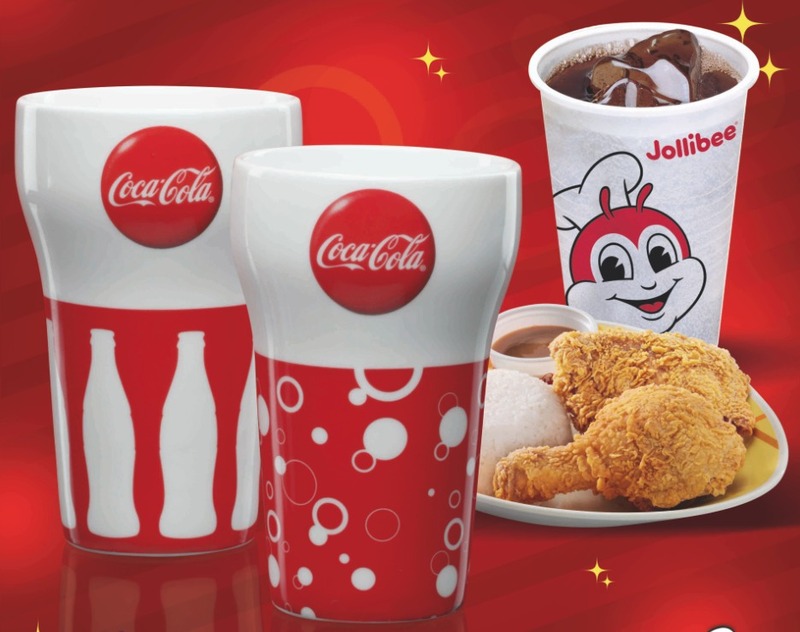 All you have to do is: Present a single receipt purchase of any three Go Large softdrink with any Jollibee Value Meal! This promo is also applicable with Go Float! Better head out to your favorite Jollibee stores now within Metro Manila and selected provincial areas, as the promo only runs from December 1-14, 2011! Open langhap-sarap. Open Christmas happiness now with the limited edition Coca-Cola Christmas Tumblers! See posters and print ads for details.